Sneakers, stripes, denim overalls—Miss Universe 2016 Iris Mittenaere's off-duty outfit choices are so relatable, you probably have the same pieces in your wardrobe, too! Take, for instance, this casual OOTD taken with the gorgeous view from Burj Khalifa as her backdrop. Are those Adidas Gazelles we spy? Iris seems to have a soft spot for Stan Smiths as well. Check out how she paired the classic white sneakers with a soft blush skirt. And yes, she repeats clothes—those are the same striped shorts we saw on her earlier. Looking relaxed and laid-back for a trip to China! 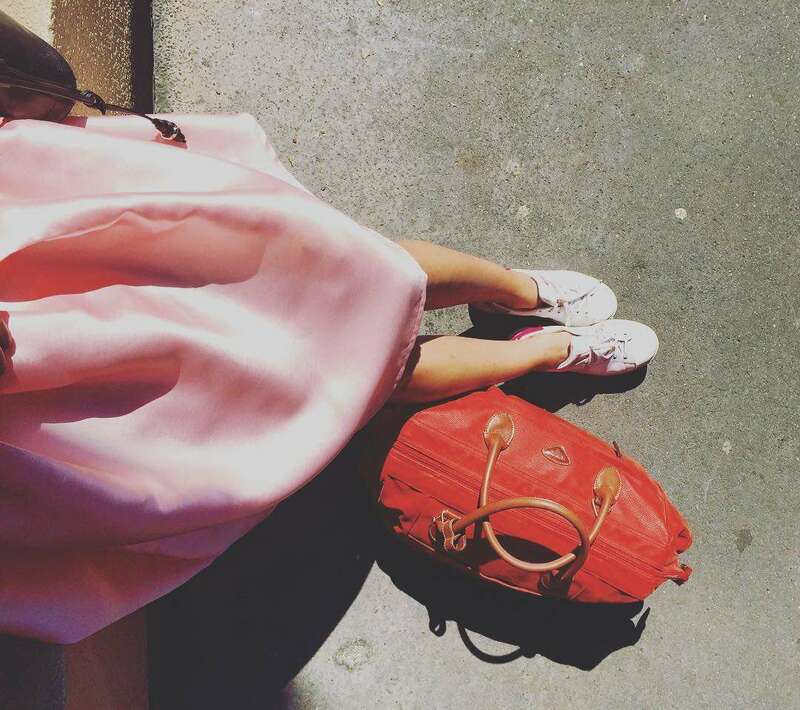 Dresses are a breeze to stuff in your suitcase! And it will also make you feel instantly well put together when you're feeling a little lazy to mix and match. Iris sure knows this, too! Don't forget the go-to laid-back outfit of any true millennial: a distressed'90s-style denim jumper with a striped crop top.